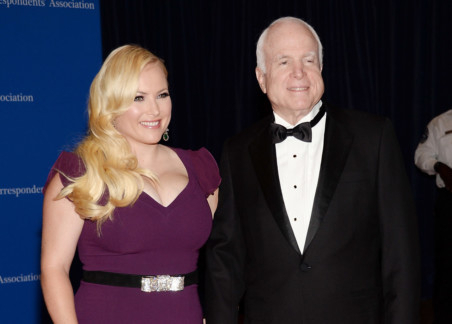 Meghan McCain says President Donald Trump’s life is “pathetic” after his weekend Twitter attack against her father, the late Sen John McCain. She fired back at Trump on ABC’s ‘The View’ on Monday after the president tweeted comments criticising her father, who died last year after battling brain cancer. Trump attacked John McCain for his role in the Russia investigation. The president also tweeted that the 2008 Republican presidential candidate was “last in his class” at the US Naval Academy.